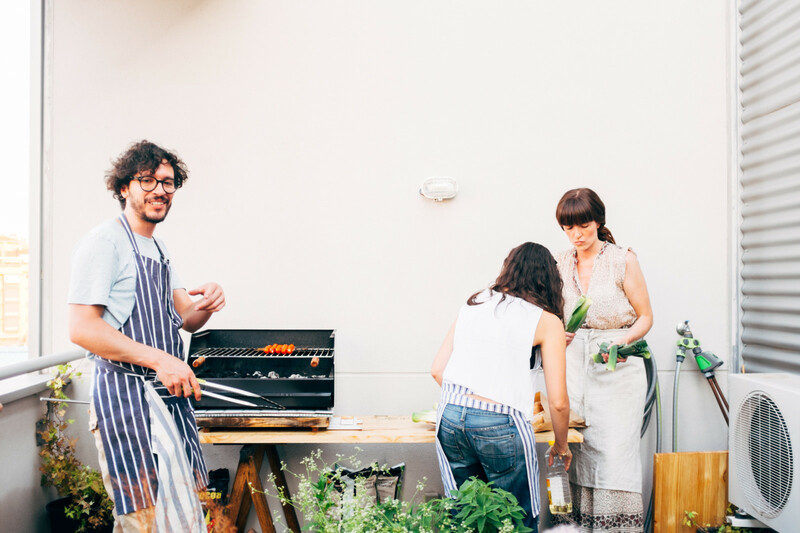 (EN) Barbecues are the kings of summer. As soon as temperatures rise, the dusty grills call like sirens on an island; their songs filled with the promise of endless get-togethers, cold drinks and mouth-watering aromas. (EN) The sausages, in this case chistorras and botifarras, came last: “Make sure you turn them around so they cook evenly,” Luis said, looking over the final components of our dinner. In the heat that was finally calming down with the sinking sun, we assembled our Mediterranean bocadillos (sandwiches) and, spread out across a homemade coffee table on the terrace, among bushes of fragrant herbs, took our afternoon of loud conversation and wonderful food well into the night. 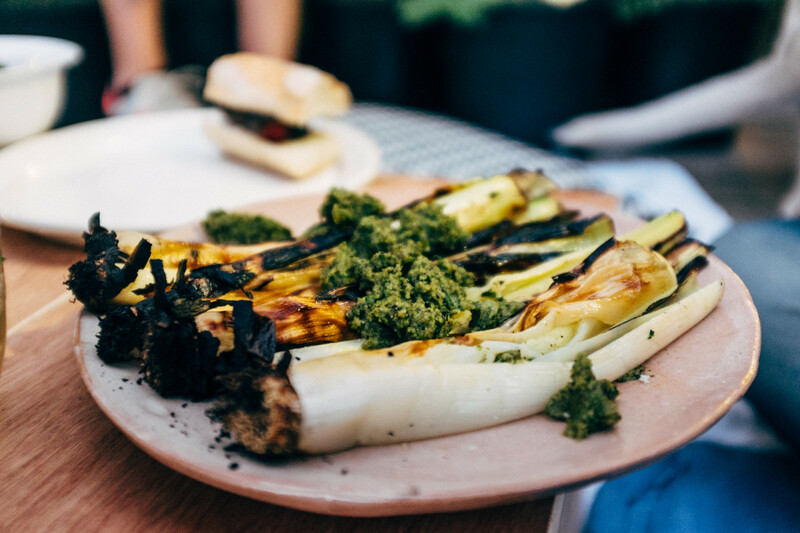 To top it all off, Caroline and Luis shared with us their special herb sauce that elevates grilled vegetables and meats to unrivalled heights of flavor and sharpness. 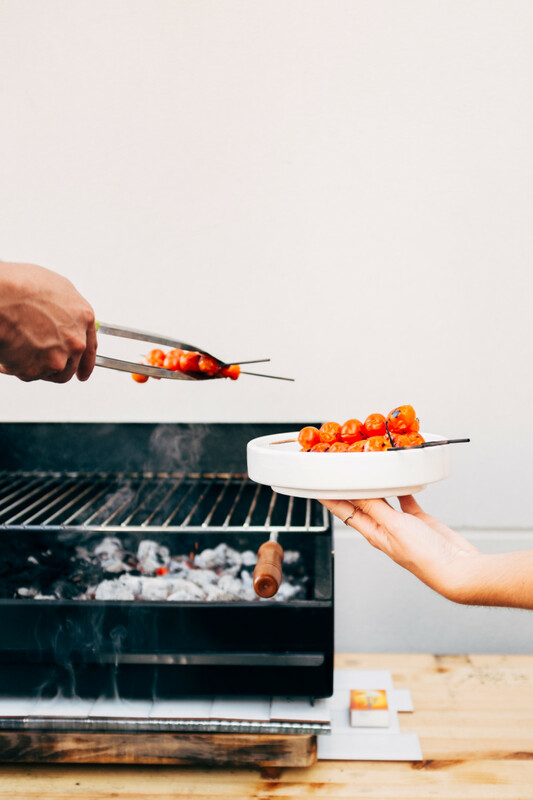 (EN) “At least for me, the highlight of summer is being able to have barbecues in the backyard,” Caroline proclaims in the middle of her terrace. The space also functions as the blueyellow lab, where they grow at least one plant of each variety found in their farm. 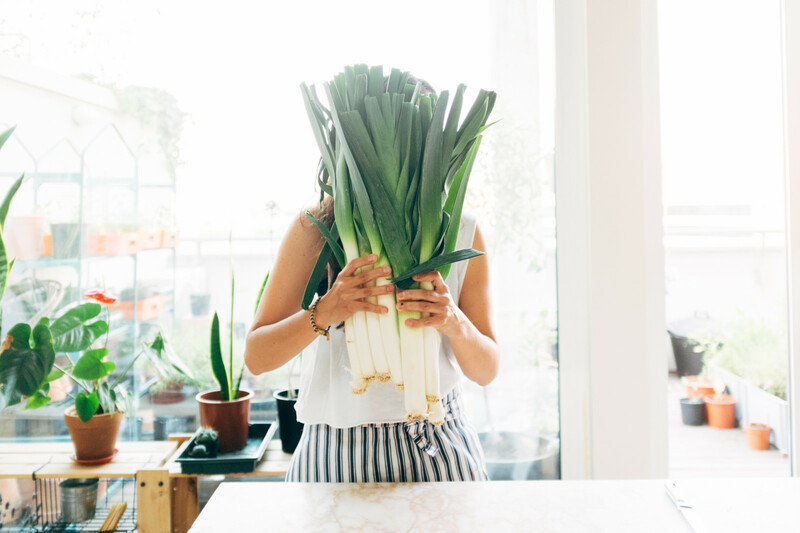 Combine vinegar, salt, garlic flowers, shallot and chile in a medium bowl and let stand for 10 minutes. Stir in cilantro, celery leaf and spicy oregano. Whisk in oil. Season with salt to taste and add to whatever happens to be sizzling on the barbecue or, as Caroline herself loves, use as a dip with bread! (EN) Many thanks to Elena and Ana Arce, and Caroline and Luis from blueyellow. Revisit our previous ‘Summer Afternoon’ recipes and start cooking up your own feast. Hungry for more? Explore all our FvF Cooks stories.